Russian scientists make ‘under-water’ breathing possible! 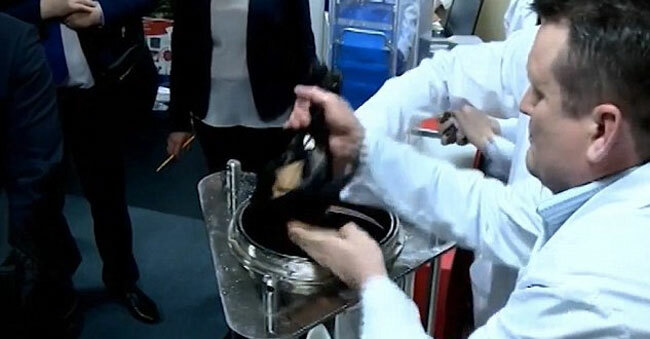 In a recent technological demonstration, Russian scientists demonstrated a unique breathing technology. The Russian scientists have developed an oxygen-containing liquid, which makes underwater breathing possible. The technology was demonstrated by Russia’s Deputy PM Dmitry Rogozin during the visit of Serbian President Alexander in Moscow. 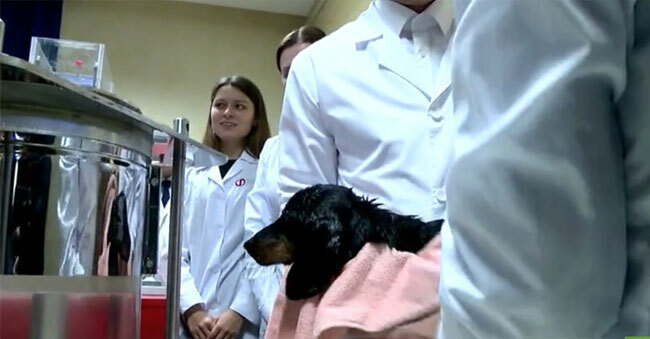 In a video posted on a Russian website, a dog [dachshund] named Nikolas was put into the oxygen-containing liquid. The dog initially wriggled to free himself. But after the liquid got into his lungs, the dog relatively calmed down and started breathing. It was taken out after few seconds by the researchers. Russian scientists are hoping that even humans can breathe underwater given their technological development. It is still unclear how long it would take for the technology to be available on a mass scale. This development is seen as ‘Russia’s preparation for the next World War’ by its foes. On the contrary, many animal rights activists the Russian government dog’s experiment on various media fronts. Mega Brothers stole the limelight at Governor’s Feast! 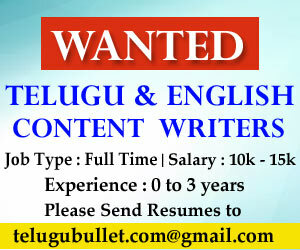 No one showing interest in that expect Daggubati Rana! Previous articlePawan Kalyan’s Agnathavasi trailer postponed!